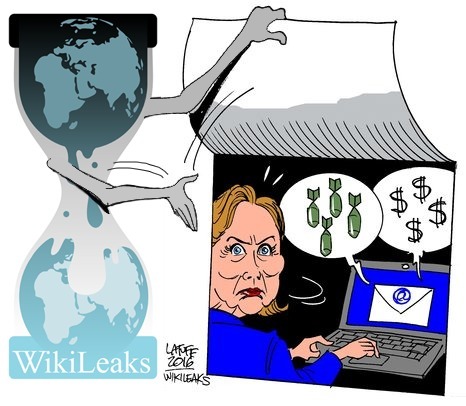 WikiLeaks has put online a searchable database of thousands of emails sent to and from top figures in the Democratic National Committee — many of which contain personal and financial information of private citizens. Transparency in government affairs is one thing, but this seems careless — and callous. The 19,252 emails are in a searchable archive, and it’s as easy as typing in “contribution” or “passport number” to find hundreds of results. Many relate to contributions made to the DNC, with the contributor’s full name, email, phone number, and address listed. While participating in the political process by donating to your party is in a way a fundamentally public action, and voting records and so on would likely turn up much of this same information, it’s hard to see the point in releasing this data, especially considering how easily it could have been systematically redacted. Some emails are of admitted interest to someone who wanted to see how the DNC works — vetting applicants for meet-and-greets with the President, for instance, or sorting out problematic donations. Others are purely personal: one has Jordan Kaplan, the DNC’s national finance director, setting up a time to view an apartment and joking about sweatpants. WikiLeaks and organizations like it are a valuable outlet for information that might otherwise be made deliberately difficult to get at, but the timing and spirit of this one give it a partisan feel. There are more to come, apparently. This is “part one of our new Hillary Leaks series” — as opposed to the old one, of the emails on the then Secretary of State’s controversial private server.